NEW ORLEANS – When determining whether the court had jurisdiction over an asbestos case, a Louisiana district judge has concluded that the claimant only joined certain defendants to the case in an effort to keep it in state court. Judge Jane Triche Milazzo filed the order denying remand on Sept. 18 in the United States District Court for the Eastern District of Louisiana. Milazzo explained that the plaintiff and defendants disputed the question of complete diversity in the matter. 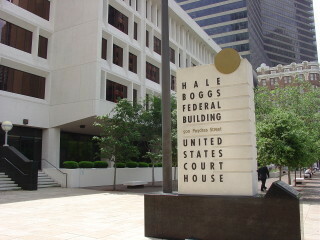 Defendant Huntington Ingalls Inc. argued that defendants Eagle Inc. and Columbia Casualty Company were fraudulently joined in order to prevent removal to federal court. HII further alleged there was no evidence that Eagle supplied asbestos-containing products to the claimant’s employer or that Columbia insured the employer during the claimant’s employment there. “When HII learned that the plaintiffs had no arguable basis for recovery against Eagle or Columbia, it realized that the case was removable based on the fraudulent joinder of these non-diverse defendants,” the order explains. Milazzo agreed, denying the plaintiff’s motion to remand. Claimant Norman Landry was employed at the Avondale shipyard for one month in 1948 and nearly two months in 1949, where he was allegedly exposed to asbestos. Landry was diagnosed with mesothelioma in 2012 and died several months later. Landry’s surviving spouse filed the lawsuit against HII, Columbia and Eagle. Landry claims Columbia is a proper defendant because it insured Avondale during his time of employment. In support of HII’s claims that Columbia was an improper defendant, it provided a letter from Columbia, which stated that it searched its files in response to discovery requests and could not locate any insurance policy issued to Avondale in either 1948 or 1949. Milazzo concluded that the plaintiffs’ evidence failed to support their position, explaining that the documents reflect insurance policies that do not indicate coverage for the years at issue and could not possibly provide coverage for the plaintiffs’ claims. “Given Columbia’s representation that it has no record of providing relevant insurance to Avondale and the fact that plaintiffs lack even a scintilla of evidence to support their allegation that Columbia insured Avondale’s officers, this court finds that plaintiffs are not able to establish a cause of action against Columbia,” Milazzo wrote. As a result, all claims against Columbia were dismissed. As for Eagle, Inc., the plaintiffs allege the defendant sold asbestos-containing products to Avondale and did contracting work for the employer during Landry’s employment. In support of its claims, HII provided a letter from Eagle’s counsel stating that Eagle could not locate any record of sales to Avondale prior to the 1950s. Milazzo concluded that the depositions provided by the plaintiffs fail to establish that Eagle did business with Avondale prior to the 1950s. As a result, all claims against Eagle were also dismissed, leaving HII as the only remaining defendant. Because HII is completely diverse from the plaintiffs, Milazzo found that his court has subject matter jurisdiction over the case. Furthermore, Milazzo explained that the district court could only exercise jurisdiction over the case if HII is not a citizen of Louisiana. HII’s insisted that its principle place of business is in Virginia, where its officers direct the corporation’s activities. Milazzo agreed, saying jurisdiction is proper.